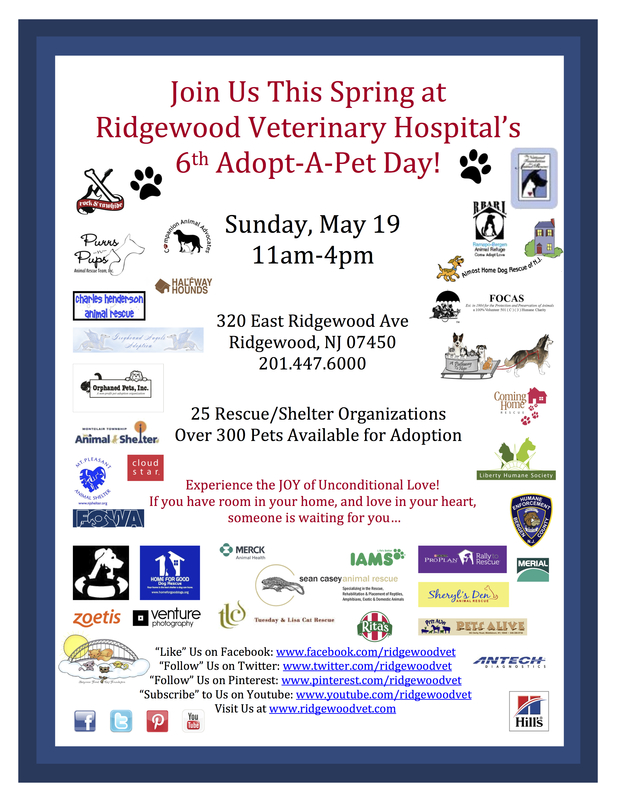 On Sunday, May 19th, from 11:00 A.M. until 4:00 P.M., the Ridgewood Veterinary Hospital will be holding its Sixth Adopt A Pet Day at 320 East Ridgewood Avenue, Ridgewood, NJ. Normally held in September, the events have been so successful in finding homes for pets, Dr. Dean J. Cerf, Hospital Director, now holds the event twice a year. Dr. Cerf says, "There is nothing like experiencing the joy of a pet's unconditional love, and we hope to help as many pets as possible get a second chance to share that love." The hospital opens its doors and parking lot to over 30 shelters and rescue groups, who will bring dogs, cats, birds, and exotics for adoption. 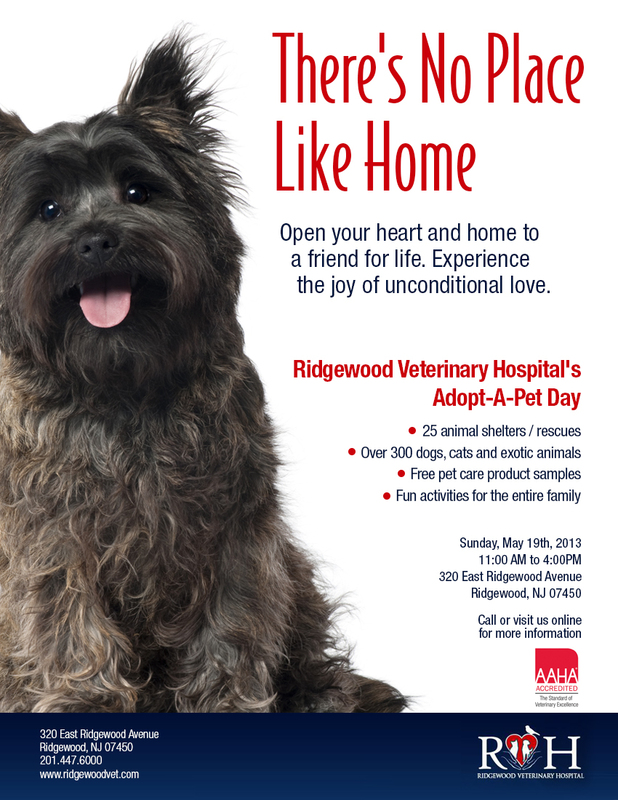 The entire staff of the Ridgewood Veterinary Hospital is passionate about this cause and volunteers hours before and during the event to make it run smoothly. Last September, over 1000 people attended and more than 250 animals were placed with loving families. Keith Harris, Hospital Administrator, says, "Our slogan is ‘Open your heart and home to a friend for life,' and we invite people to help us adopt more pets at this event than ever before."